Recent surveys have highlighted some startling facts about one of the biggest single expenditures made by business – documents and document related processes. An analysis conducted by the Centre for Economics and Business Research (CEBR), found that Ireland spends around €1,213 million per year on printing materials in-house. Yet most companies have little idea of their own printing costs and are also unaware that changes can be made to manage their printing function in an optimum manner. 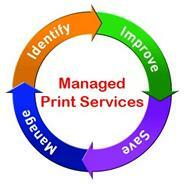 Delivering real cost savings to our clients for their printing needs. We can carry out a very efficient analysis of your current print costs and quickly identify ways in which you can save money. It’s that simple. Don’t be left paying over the odds for ongoing printing costs. Contact us today to find out how you can save.